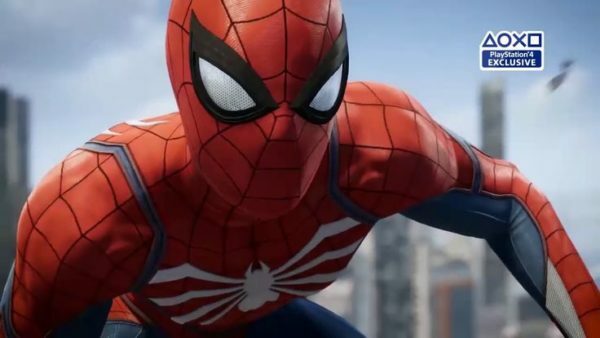 Insomniac's Marvel Spider-Man, due out in September, had a great showing at E3 a few days ago. I've watched every gameplay video that I could find from the time and I have to say that I can't get enough of this game and I can't wait to get my hands on it. I literally sent a tweet to Insomniac begging for them to release a demo. PLEASE. Feed my need to play this awesome game. Everything about this game makes me want to play it so bad. From the web-swinging to the combat, it all looks so great. So wonderful. So much like Spider-Man and I can't wait to be him in this game. More importantly, I want, much like all the other Spidey fans out there I'm sure, I want to see how this game's story unfolds. The Sony Press Conference gameplay trailer ended on such a cliffhanger that it has sparked so many fan theories. Who's the mastermind behind it all? I have my own theories and I want to see what happens next. Let's talk about web-swinging first. It looks fluid, responsive and difficult to master. Many Spider-Man games before this one have all tried to master web-swinging as it's a core aspect of who Spider-Man is. Web-swinging should be enjoyable and make you feel like the wall-crawler and I can't speak to this game yet but from what I've seen, I think Insomniac has nailed it. Much like web-swinging, Combat also looks so fun and engaging. From being able to string together long combos, to be able to use gadgets to subdue enemies. Even the small little environmental interactions are good. Spider-Man's combo looks much like games that have come before but does it like only Spidey can. He dodges moves and launches enemies like only he can, jumps between enemies, throwing a quip here and there all while looking SPECTACULAR. I've never wanted a game more than I want this. Counting the days until I can get my hands on it. Might even take the day off work. Everything about this game and what I've seen and heard has me excited and I can't wait. Check back when the game launches for my complete opinion of the game.